Work has me crazy busy, but this is a good thing. The downside is I have not had the time to blog as much as I want or even get in the campaign prep in at night. So I thought I would kill two birds today and see where I am in my games. 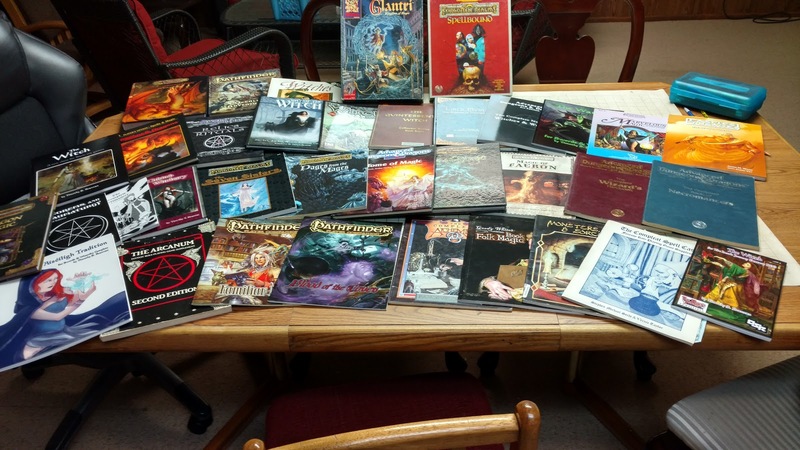 A 3.x game that was briefly 5e and now fully converted to 1st Edition AD&D. The characters were trapped in Baba Yaga's Hut for nearly a year. They freed the Old Crone and her daughter Elena the Fair. Up next the final battle. I am using the Tom Moldvay adventure Twilight Calling for this. Next are my three interlinked 5th edition games collectively known as Come Endless Darkness. Tharizdûn is returning to the multiverse and the PCs of the three campaigns need to stop him. The Order has defeated all the giants and are now wandering the Underdark looking for the Drow. The big bads here are Lolth and Graz'zt. Graz'zt is setting up Lolth much like he is described doing in Expedition to the Demonweb Pits (for 3.5e). I try to focus on classic monsters in this one. The Treasure Hunters of the Second Campaign have just entered the Forbidden City. Here the big bad is Demogorgon. Here the focus is on other creatures that might not see normal games. Known by my kids as the Orcus campaign. This is my revived and converted 4e campaign brought over whole cloth. I might lessed the involvement with the Raven Queen and play up Shar since this is part of the Forgotten Realms in my house. All three games will meet up at the Temple of Elemental Evil to battle it out with the risen Tharizdûn. So roughly 18 characters of 18th to 20th level. It's gonna be wild. These games are all inactive for a number of reasons. This game is will be using White Star with my own "Black Star" rules modifications. I have the first adventures ready to go, "The Stars Are Right" and "These Are the Voyages". I have two more nearly ready "Ghost Ship" and "Abraxas Down". I want to do two more. I have been scribbling notes on rule changes and feel like the rest I can do while the game is moving along. What is really slowing me down is the wiring of the LED lights I want to put into my USS Protector Model! This one is requiring some significant reading on my part. As my first REALY foray into Middle Earth as a game world I want to do it right. This one is on hold till I am done with Come Endless Darkness. Since this one will use D&D Rules Cyclopedia and I really want it to feel like a separate game. Plus things that happen in CED will change the world of the Magic School and I don't know what those are yet! This is the higher level version of the Magic School kids. What happens here will also be determined by what the PCs do in CED. I have all the adventures for this, just not the end game. The Incredibly Awesome (and Not At All Made-Up) Adventures of Booster Gold and Blue Beetle! Huh...ok this one was a little bit of a joke, but I keep getting asked about it. 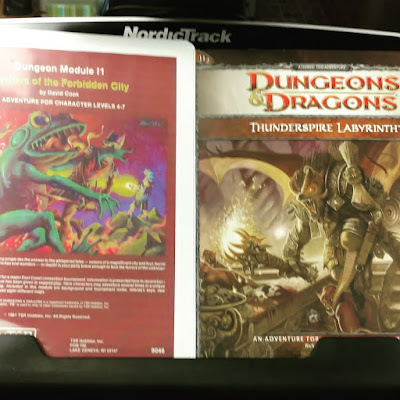 I do have one adventure worked out that introduces the PCs to the world. Called "Damn It Barry Allen!" it sets up Booster and Blue as the true heroes of the DC world, it's just that no one can remember them. I still have to get my new Blue Rose campaign going. I ran the first adventure, Kingdom of Rain, and it went great.